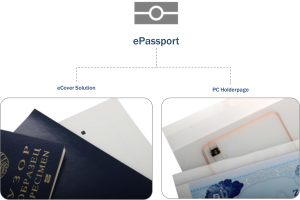 A biometrical passport, or more precisely an eMRTD (electronically machine readable travel document) is a combined paper and electronic passport containing biometric data which can be used to authenticate the identity of travelers as well as confirm the authenticity of the travel document, if necessary by using contactless smart card technology. This type of document is commonly known as ePassport. Klick here to see two example workflows of the mayor practices for the ePassport production. Either eCover solution or Holderpage solution or even a combination of both. 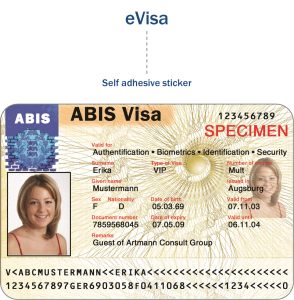 A visa represents a conditional authorisation issued by a country to an individual, who is not a citizen of that country to enter and to remain there for a pre-determined duration. Preventing counterfeiting, forgery, or alteration of such visa is a vital security issue. State printing houses employ elaborate designs and a variety of security features. 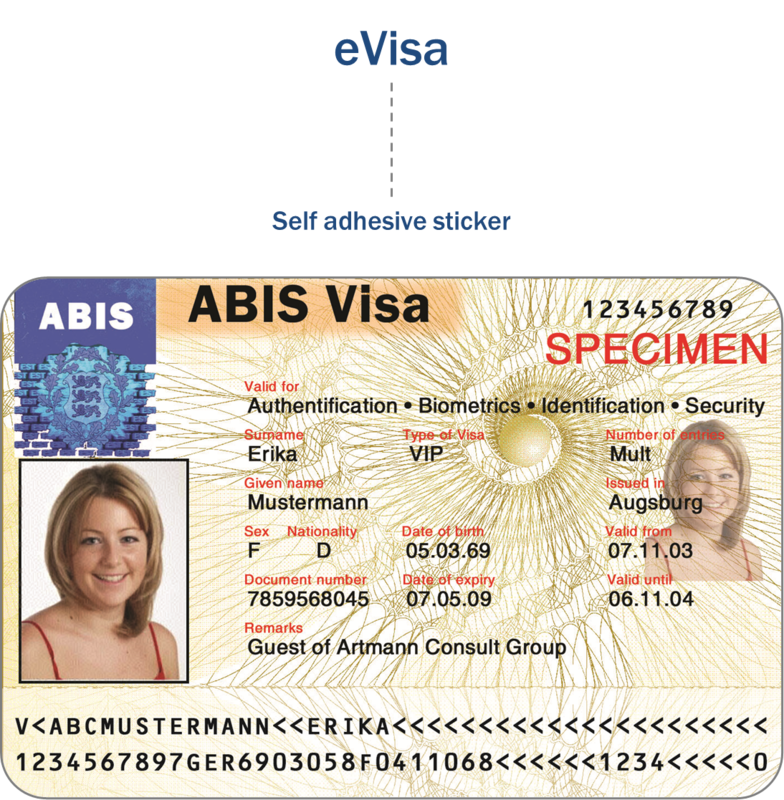 Let us assist you introducing a simple means of manufacturing complex visa stickers. Fewer production steps reduces rejects and enhances the workflow. Click here to see a short comparison. National ID-cards hold and provide information about the personal identity of a country’s citizen. The embedded chip holds biometric data of the rightful card holder. 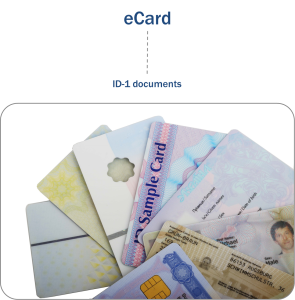 The electronic functions of the chip permits various applications as electronic identification, digital signature and eGovernment services. In order to protect sensitive data and personal identity from theft, complex security features are continuously developed. ART-Line supports you in determining specifications and features of your product – always in cooperation and consideration of your individual situation. We invite you to discuss your own card production from every production volume on.